Human Rights Activist News Agency (HRANA) – Six years ago, four Afghan nationals planned to use underground channels to migrate to Iran, where they had invested hopes of a better life. In the early morning hours of October 2, 2018, they were executed on charges of “armed drug trafficking,” a charge to which they reportedly confessed under the duress of torture. Shah Mohammad Miran Zehi, Ahmad Shah Issa Zehi, Mohammad Miran Zehi, and Eid Mohammad Miran Zehi were married with children and had been in Birjand Central Prison for over six years. In an open letter, the prisoners explained the circumstances in which they were detained and coerced to utter false confessions. Mohammad Miran Zehi wrote that they had filed into a Toyota set to take them to Birjand from Zabul when they got into a dispute with their driver near the village of Bandan [a tributary of Nahbandan on the Afghanistan-Southern Khorasan border]. Claiming he needed gas, he reportedly dropped the group off at a private residence and said he would be back. “When [the driver] returned, he was flanked by authorities. They struck me in the head and took us to the Bandan police station. They subjected us to the cruelest forms of torture in there,” Mohammad Miran Zehi said. Accusing them of transporting more than 300 pounds of opium and two Kalashnikov rifles, Bandar authorities used violence to press them to confess, going as far as pulling a toenail from Mohammad’s right foot. The case file against the four was set into motion when they finally acceded to the torturers’ demands, “under the pressure, the fear for our lives, the inability to take it any longer, and hoping that maybe it would make them stop,” their letter explained. 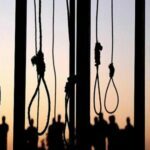 The case file was then forwarded to judicial authorities and spent five years in suspense before Judges Nabavi and Seyfzadeh of Birjand Revolutionary Court Branch 2 issued the execution sentence on January 31, 2017. 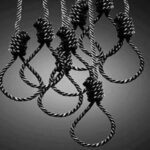 The Supreme Court upheld the death sentence for Shah Mohammad Miran Zehi, Ahmad Shah Issa Zehi, Mohammad Miran Zehi, and Eid Mohammad Miran Zehi; the death sentence of Saraj Gavkhur, a fifth defendant on the same case file, was commuted to 25 years’ imprisonment. According to a close source, the group was made scapegoats for an armed conflict that had taken the life of a security agent days before their entry into Iran. Birjand Central Prison is in the city of Birjand, capital of Southern Khorasan Province. HRANA News Agency – Five men and two women were executed in connection with drug crimes in the central prison of Birjand on Thursday. HRANA News Agency – 16 prisoners with drug related charges were hanged in Mashhad and Birjand during April 16 and 17. 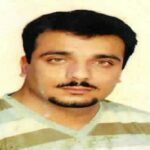 HRANA News Agency – On Wednesday 12th August, Mohsen Sarani, 22, was executed by hanging in the yard of Birjand central prison. 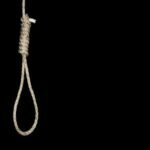 HRANA News Agency – Two prisoners who were charged with smuggling drugs, were executed by hanging, in central prison of Birjand, on August 10th. 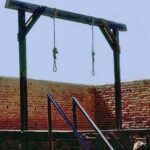 HRANA News Agency – 6 men and 4 women have been executed in the central prison of Birjand during 2 days. 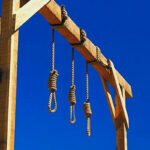 HRANA News Agency – 5 prisoners have been hanged in the Central Prison of Birjand.